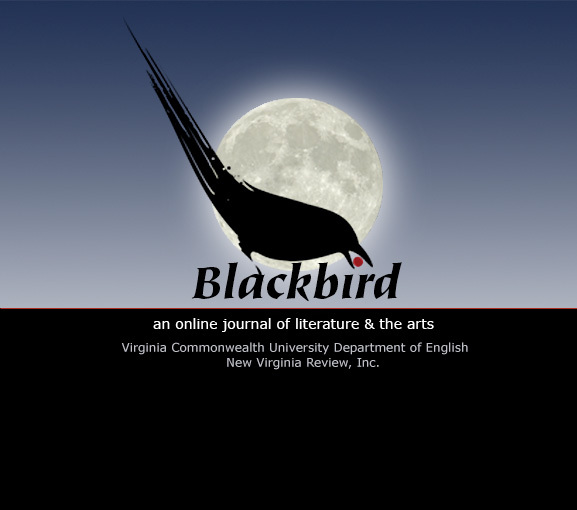 This may be a better link to my poem, "The Conservation of Memory," on the Blackbird site. Cool image from their opening page, too. It was a perfect link - and printable too. I loved it, now how to fit it into a muse about a Husky football player I met from Compton??? That will be a miracle! Thanx for the link and the wonderful words of life.